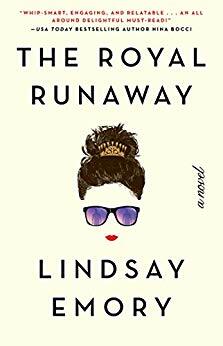 The Royal Runaway by Lindsay Emory follows the Crown Princess of Drieden, Princess Theodora Isabella Victoria of the Royal House Laurent on her quest for answers after being jilted at the alter by her fiancé. Immediately following the scandal her family sends her to their northern island as part of an attempt to exile her from the media scrutiny as well as an opportunity for her to gather her thoughts and come back home ready to resume her princess duties. The novel starts 4 months after the wedding day when Thea returns home and prepares herself to be the perfect princess once again. Although Thea is ready and eager to get back to her normal routine, she still is hurt and confused by her fiancé running off on her – after all who runs away from the chance to be a king one day? To add insult to the injury Thea did not even really like her fiancé, but was marrying him more for his title and to fulfill her grandmothers expectations. Being back in the castle she starts to feel the need to escape again and sneaks off on a nighttime adventure to a local bar. It’s here she meets Nick Fraser-Campbell, a mysterious Scot who gives her the chance to be normal for a night. Hooked on the feeling the midnight escape gave her, Thea returns to the bar for a second night where Nick reveals his real intention in befriending her – blackmailing her to find out what happened to his missing brother, Thea’s fiancé. Thea reluctantly joins forces with Nick to uncover the mystery of why her fiancé ran away. Before I get into details of my opinion on the book, I do have to preface this by saying that while I am a big fan of historical romances and storylines with dukes and duchesses etc. I am not a fan of royal families in modern times, I really do think that these families are a bit useless in this day and age and that their extravagant lifestyles are funded through everyday working individuals. So once again, not a fan. This book also did not help because it really pointed out how privileged and entitled the royals act, and reinforces it at the end of the novel when Thea makes a choice to remain with her privilege. With that in mind, I did enjoy this book – for the most part. It was fun and easy, the story line kept me captivated and I was excited to see where it went, I really enjoyed the interactions between Thea and Nick. However, I would have preferred a bit more romance and a bit less detail about tax fraud. The romance is very minimal, heavy flirting and some kissing. There was such little chemistry development between them that I didn’t quite believe in the romance. There was also a major lack of character development, why was Nick even looking for his brother when he hadn’t seen or talked to him in years? Why did Thea always cry about her fiancé when she didn’t even like him? Why does Thea always run away from the castle? All of these points were briefly touched on but not really developed well. I also had no idea what kind of image to have in my head for what they may have looked like, there was no real descriptions of the physical attributes of the characters. This is a very small issue, but I always like to have a picture in my head whenever I am reading a book. Overall, I would recommend this book for those looking for a light, easy read with a bit of mystery and romance. Not the greatest, but not the worst book to spend a few days of your time on.